Darin Andersen is a distinguished Internet of Things (IoT) and cybersecurity professional with over 15 years of experience in the security industry. In 2013, Mr. Andersen founded CyberTECH (CyberHive and iHive Incubators), a global cybersecurity and IoT network ecosystem providing cybersecurity and IoT resources, strategic programs and quality thought leader IoT Forums across the nation. Darin is also founder of CyberUnited, a cybersecurity, big data and predictive analytics firm that applies a behavioral psychology framework via machine learning, data, analytics and inferential algorithms to determine and prevent identity and insider threats within the enterprise, academic and government organizations. Before founding CyberUnited, Darin was the GM, North America for Norman Shark, a forensics malware analytics company, recently acquired by Blue Coat Systems. Prior to Norman Shark, Darin was the Chief Operating Officer (COO) at ESET, an award winning and antivirus solutions company, where he was a leading driver in growing the company to over 800 employees worldwide and building an extensive network of malware research centers in 9 countries as well as a network of partners spanning more than 180 countries. While COO at ESET, Darin created the “Securing Our eCity” initiative. The initiative, now an independent Foundation, was recognized by The White House as the “Best Local/Community Plan” DHS National Cybersecurity Awareness Challenge. Mr. Andersen was recently named a Distinguished Fellow by the Ponemon Institute, a research center dedicated to privacy, data protection and information security policies. He received the Internet of Things award at the 2014 Cybersecurity Awards and was named Top Influential by The San Diego Daily Transcript for 2015. Darin received an MBA in Finance and Operations Management and 2nd Masters in Information Systems and Operations Systems both from University of Southern California. Tim Caulfield is global business executive with extensive experience in cloud, colocation, managed and professional services. Entrepreneurial by nature, he is an expert in planning and implementing best practice solutions for companies of all sizes – start-up to Fortune 500. His expertise includes driving organizational change to advance mergers and acquisitions, globalization, operations, technology, and cultural change regardless of economic challenges or financial constraints. 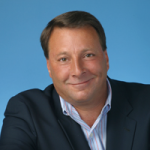 Most recently, as Founder and CEO of Antara Group, an Information Technology management consultancy, Tim assembled an elite group of executives from both sides of the customer/service provider divide to provide expertise as interim C-level officers or voice-of-experience advisors to emerging, SMB, and enterprise clients. Brian Nugent is a seasoned technology industry executive, entrepreneur and board director, with a proven record of driving software, SaaS, hardware and IT Services companies to market leadership positions. In addition to Accelerate-IT, Brian’s board expertise is currently active as the Board Chairman of Zephyr Photonics, an optical networking provider founded in 1987; and most recently with Brightcloud – a cloud-based security firm that was acquired by Webroot. 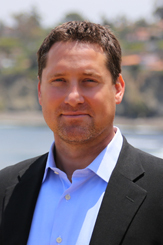 Brian is a member of the ‘Alliance of CEOs’, the San Diego Venture Group, and is a frequent lecturer at CEO consortiums such as the ‘CEO Total Access Series’. 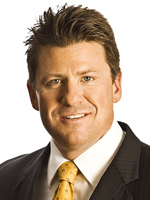 Brian’s twenty year technology industry operational experience spans executive leadership posts across public and private companies in general management (CEO/COO), sales, marketing, product management, corporate development, business development and customer service across the security, communications, cloud, social media, telecom and data networking industries. Brian was most recently the Chief Operating Officer at EdgeWave, a secure content management solutions company where he led a year-long business transformation process (OTC:EWVE). Prior to EdgeWave Brian was Chairman & CEO of Applied Identity, a policy-driven identity management solutions provider for the enterprise, government and MSP sectors. Applied Identity was acquired in March of 2010 by Citrix Systems (NASDAQ:CTXS). He is active in a variety of charitable organizations and is a Board Member of PEERS. 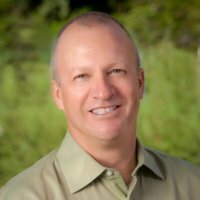 Kip Quackenbush is President of Nex Cubed and brings a broad range of enterprise software experience to the company. With over 25 years of experience in driving strategy and revenue for public and private companies in leading edge technologies and services sectors, Kip brings operational, sales mastery and entrepreneurial spark to Nex Cubed. Before joining Nex Cubed, Kip was President and CEO at Sendio, Inc. Kip was also EVP of Global Sales at ProfitLine which was acquired by Tangoe. Prior to ProfitLine, Kip was VP of Worldwide Sales at email security leader Red Condor. Before that, Kip was VP of Worldwide Sales at Akonix, where he grew the customer base from under 200 to over 2,000, which lead to a successful acquisition by Quest Software. Kip also held the role of Senior Vice President, Worldwide Sales at Commerce One, the pioneer in e-procurement and e-marketplaces. Kip began his career at tech leaders such as Oracle, Digital Equipment Corporation and Pacific Bell and is a graduate of the University of California, Berkeley.